Being inspired by the current Poptone (Kevin Haskins / Daniel Ash) tour I decided to finish my Kevin Haskins compilation CD I had been trying to put together for years. 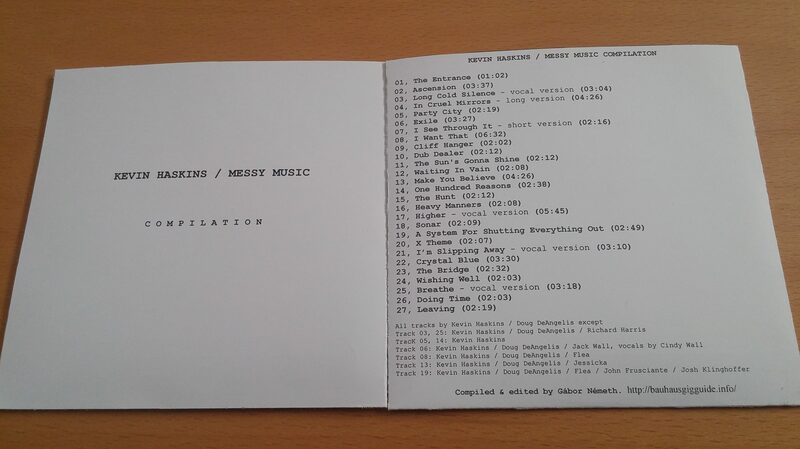 Track selection has been made out of 10+ hours of various songs, music library tracks and film / TV soundtracks made by Kevin Haskins (mostly with his partner-in-crime Doug DeAngelis under the name Messy). This compilation contains only my personal favourites.